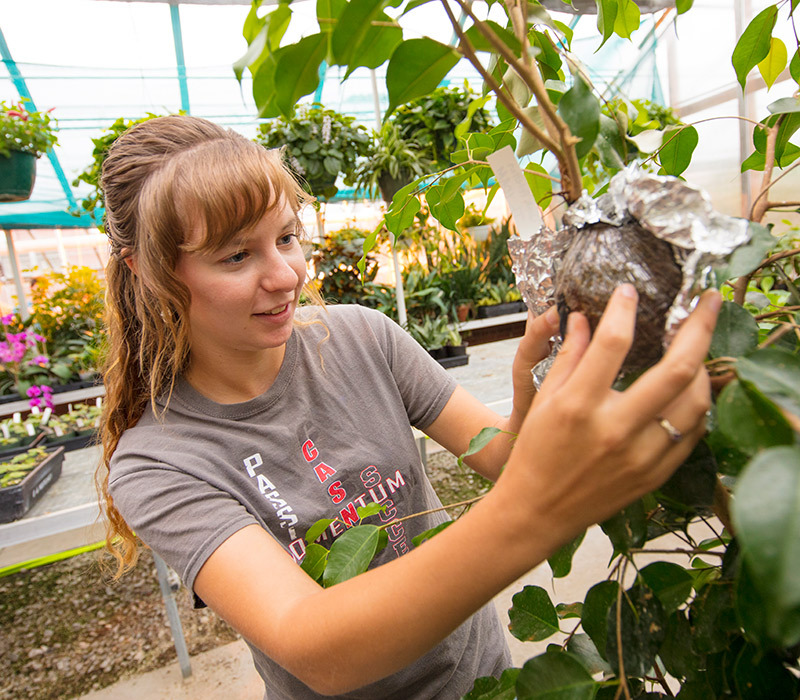 The University of Nebraska Omaha cooperates with the College of Agricultural Sciences and Natural Resources at the University of Nebraska–Lincoln in providing a pre-horticulture transfer program. For more information about this program contact Megan Lane in the Biology Department at UNO at melane@unomaha.edu or 402-554-3624. The application deadline is May 1 for summer or fall semester classes and December 1 for spring semester classes. Check out CASNR transfer information. Department of Agronomy and Horticulture scholarship information is sent to all admitted students in February of each year. Scholarship applications are due each year around March 15. Transfer students are eligible for Nebraska transfer scholarships if you apply and submit supporting material by March 1 for the fall semester or October 1 for the spring semester. More information can be found on the scholarships and financial aid website. If you are applying for federal financial aid, fill out your FAFSA as soon as possible after the first of the year. Thirty of your last 36 hours must be taken at the University of Nebraska–Lincoln. Contact Anne Streich, 402-472-1640 or astreich2@unl.edu if you have questions about the admission process, scholarships, or transfer course equivalencies.